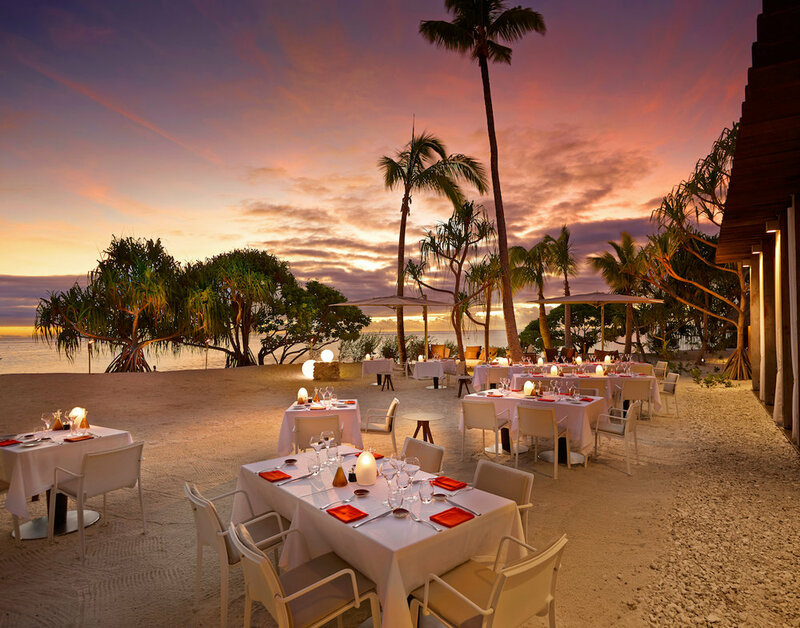 Pop the bubbly in Tetiaroa! You like your luxury served with a side of sustainability and exclusivity. The good news? 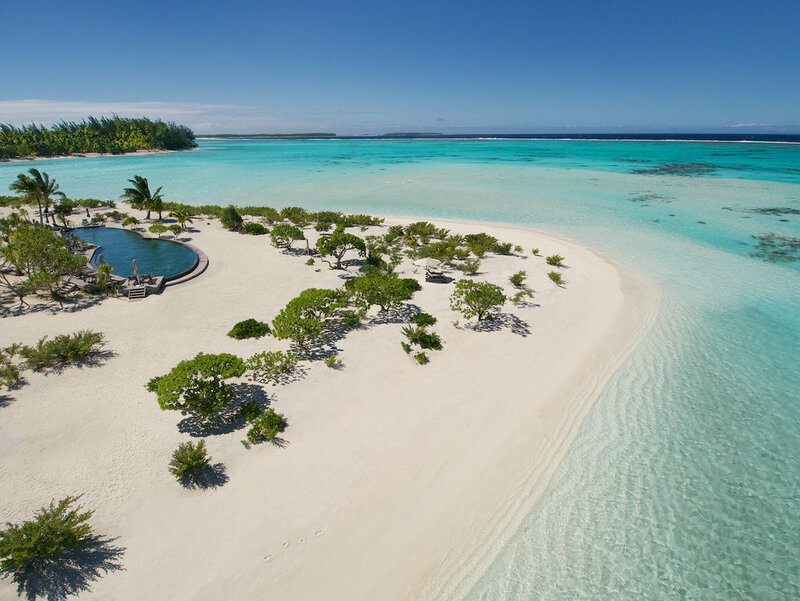 You’ll find all that and more at Tetiaroa, a largely undisturbed and uninhabited atoll of 12 motus (islands) fit for a queen. Literally. Tetiaroa is so special it was once reserved only for Tahitian royalty. As if stepping into a fairytale, Tetiaroa enchants visitors with its pristine beaches and lagoons—not to mention its only resort, The Brando, an eco-friendly hideaway of 35 villas first imagined by actor Marlon Brando. Given Tetiaroa’s storied history, luxe accommodations and separation from the hustle and bustle of the rest of the world, it’s easy to see why couples like Pippa Middleton and James Matthews and Barack and Michelle Obama recently escaped here for dreamy respites of their own. How to get to Tetiaroa: Options to reach Tetiaroa are limited. This is because the island chain is home to only one resort: The Brando. Upon arrival at Tahiti’s airport—where all international flights en route to any island in the French Polynesia land—guests are directed to a private terminal for their inter-island flight to Tetiaroa. In this terminal, an eight-passenger turboprop twin-engine plane awaits to transport The Brando’s guests to paradise. Sit back and enjoy the breathtaking views on your exclusive 15-minute jaunt to Tetiaroa! Landscape of Tetiaroa: White sand beaches, coconut trees and crystalline lagoons define Tetiaroa. The environment is so serene that it’s a natural sanctuary for birds and marine life. Tetiaroa is also the only atoll in the French Polynesia, an island or chain of islands formed from coral rather than volcanic activity. Why choose Tetiaroa: Can water really be so many shades of blue? Can fish really shine so vibrantly? Can fruit really taste so sweet? On Tetiaroa: YES. The best part? Tetiaroa’s exclusivity and boutiquey vibe add to the surreal feeling that it’s your own private honeymoon oasis. Be sure to soak up the beauty beachside, with a signature Dirty Old Bob drink in hand. The cocktail incorporates honey from the resort's hives on nearby islands. What else makes Tetiaroa unique: The Brando is changing the game of what it means to be a luxury resort. Powered by renewable energy, the resort is constantly finding new ways to become even more sustainable—without ever sacrificing the luxury its guests have come to expect. Travel tip: Combine your stay in Tetiaroa with a few days on Moorea or Bora Bora for the best of both worlds: a tranquil escape on the undisturbed atoll and an equally relaxing few days surrounded by the mountainous landscapes of the other islands. Before you keep scrolling, allow me to introduce myself and say ‘la ora na! That’s hello in Tahitian. See? You’re already another step closer to rocking your honeymoon on Tetiaroa—or any other island in the French Polynesia. In a nutshell: I’m a small-town Minnesotan with insatiable wanderlove. I adore my two dogs, gluten-free Hawaiian pizza and my husband, though not necessarily in that order. I believe in soul mates, happily-ever-afters and not wearing pants. I also believe every couple’s love story matters—and deserves to be celebrated. Today, I get to help soon-to-be brides and grooms across the country—ones just like you—honor their next chapter by designing made-to-order honeymoons that manifest their wildest travel dreams. Since you've got the French Polynesia on your mind, scroll down to see more of Tetiaroa! Stay tuned for more details that'll hit your inbox this week to help you make your French Polynesian honeymoon dreams reality. In the meantime, I've got a bottle of bubbly on ice just waiting to celebrate YOU and the love of your life! I'd be over-the-moon happy if you'd stop by Instagram, pour me a glass and say hello—or 'la ora na! Cheers, love bug! Let’s be honest, if you’re anything like me, you have honeymoon visions of makeout sessions with your new hubby or wife on more than one island in Tahiti. Check out the other quiz answers below to start dreaming up romantic island combos for your perfect vacay!